Grants to recruit or retrain the labor force with adequate skills, for example, support to secondary schools to acquire proper equipment for manufacturing training. Support to companies in the target sectors to identify and access new customers and markets, for example, through grants to prepare for and attend major regional and international trade fairs. Support to SMEs to introduce quality management systems, make technology upgrades, and receive necessary certifications required by target markets. 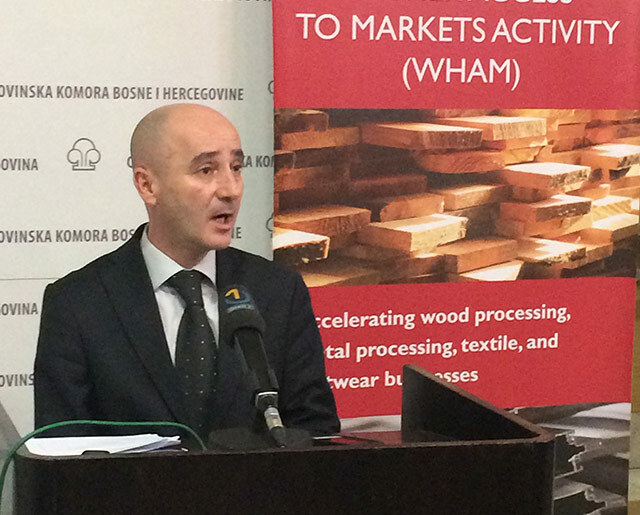 Bosnia-Herzegovina boasts a growing number of small and medium enterprises that are adapting practices to meet the quality expectations of sophisticated European customers, yet the economy is still not generating enough jobs. Unemployment, especially among young people, is high. This project stimulates job creation by advancing Bosnia’s trade integration with the EU and regional markets. It works primarily in the wood processing, metal processing, and show and textile sectors.